Author: Hopkirk, Peter Set In . . . Description: For nineteenth-century adventures, Tibet was the prize destination, and Lhasa, its capital situated nearly three miles above sea level, was the grandest trophy of all. The lure of this mysterious land, and its strategic importance, made it inevitable that despite the Tibetans’ reluctance to end their isolation, determined travelers from Victorian Britain, Czarist Russia, America, and a half dozen other countries world try to breach the country’s high walls. In this riveting narrative, Peter Hopkirk turns his storytelling skills on the fortune hunters, mystics, mountaineers, and missionaries who tried storming the roof of the world. He also examines how China sought to maintain a presence in Tibet, so that whenever the Great Game ended, Chinese influence would reign supreme. 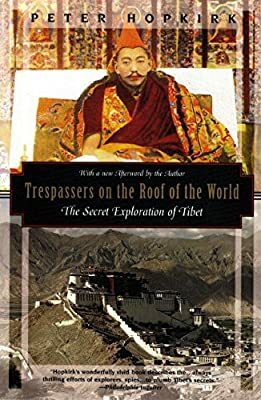 This presence culminated in the Chinese invasion of Tibet in the 1950s, and in a brief afterword, Hopkirk updates his compelling account of "the gatecrashers of Tibet" with a discussion of Tibet today—as a property still claimed and annexed by the Chinese.